If it's Friday, we're freaking out a bit. With the NFL season just around the corner, here's something fun from Jared Pozzobon. 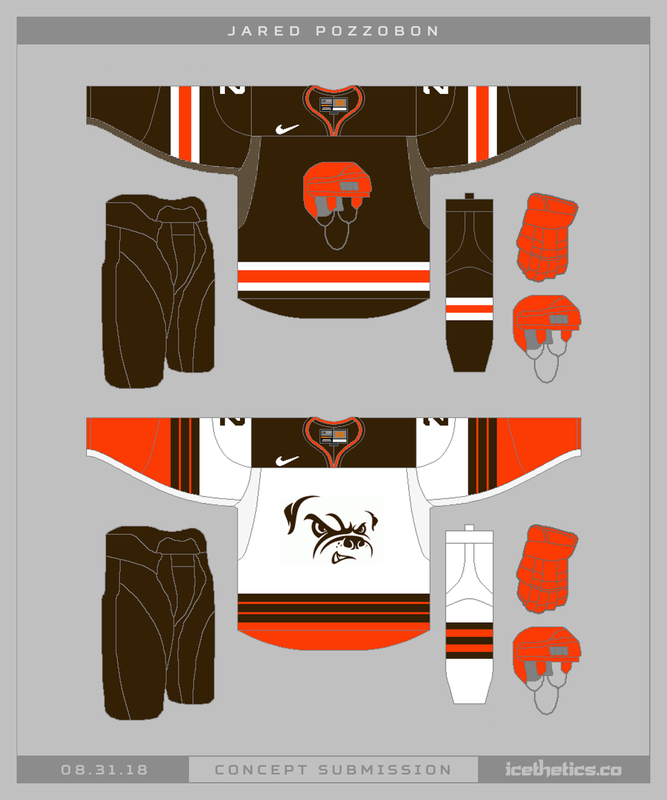 What if the Cleveland Browns were reimagined as a hockey team? The famously logo-less franchise might look a little something like this. But for what it's worth, Jared wasn't the first one to ever execute this idea. It's worth pointing out what Brian Brideau created back in 2012. Jared submitted his in 2015. I enjoy them both.